Born in Vancouver and transplanted to London, Trumpeter Jay Phelps is a unique cat. His gears are always turning, and his resume shows it - touring with Jazz Jamaica, taking Wynton's chair as the master conducted the band in the epic 'Congo Square, hosting the Late Show at Ronnie Scott's - Jay moves in a variety of roles and keeps the music flowing. 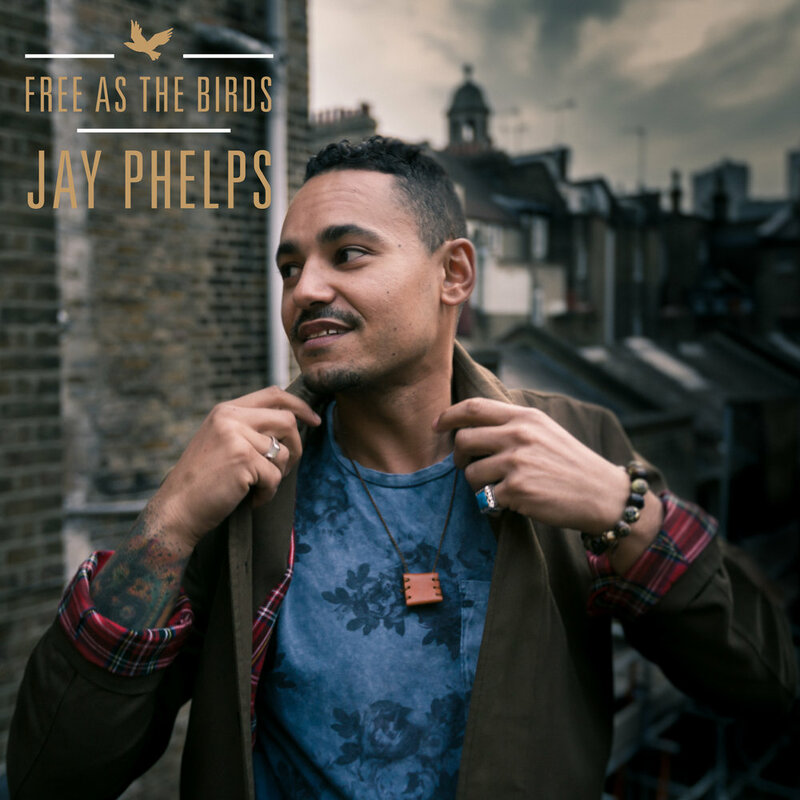 Jay's second solo album, Free As The Birds, is cued up for release on March 23rd here at Ropeadope, and it is best described as an exploration in sound. One can hear the breadth of Jay's experience, with a definite theatrical feel, and the warm tone that is his signature shining throughout. To top it off, Jay returns again on April 27th with NBOC - a trumpet and trombone production duo that heads heavily into a new sound. Trumpeter and Artist, Jay Phelps is a Vancouver-born Canadian with an instantly recognizable warm and projecting tone. He was tutored by the city’s top Jazz and Classical trumpeters and distinguished himself early on as the youngest band-leader in the Vancouver International Jazz Festival’s history. In 1999 aged 17, Jay moved to London, determined to immerse himself in the jazz scene and immediately attracted the notice of Gary Crosby (Dune records), who offered him work with Jazz Jamaica in 2002 and the opportunity to be a 'Tomorrow’s Warrior'. Citing Louis Armstrong, Fats Navarro, Clifford Brown and Miles Davis as his early influences, Jay went on to create and co-lead the UK Jazz sensation Empirical. They spent two years touring major festivals and events with their self titled debut album, while garnering worldwide media attention that UK Jazz musicians hadn't enjoyed for years. Jay has performed and recorded with a veritable who’s who of international Jazz and famed artists such as; Courtney Pine, Andrew Hill, Wynton Marsalis, Ray Brown, John Hendricks, Nasheet Waits, George Benson, Jamie Cullum, Sir John Dankworth, Jean Toussaint, Dennis Rollins, Guy Barker, Amy Winehouse, Charlotte Church, Hugh Masakela, Jazz Jamaica, Soweto Kinch, Skatroniks, Ska Cubano, Chineke Orchestra. In 2012, Jay guested with Wynton Marsalis' Jazz at Lincoln Centre Orchestra for Marsalis’ epic, 'Congo Square', taking the chair of the master himself as he conducted the band. Later that summer he proceeded to have two sell out nights featuring the Jay Phelps Big Band at the world renowned Ronnie Scott’s jazz venue in London. Jay expanded his wings into TV where he featured in the band on BBC’s Dancing on The Edge, written and directed by Stephen Poliakoff. After a successful year of hosting the Late Show at Ronnie Scott's with various bands, Jay moved his night to the Hippodrome Casino, Leicester Square, where he continued with his signature style. As well as being a late night host and performer of London's top music venues, Phelps regularly tours nationally and internationally with his own bands (JPQ, Projections:Of Miles, Jay's Jitter Jive). Recently, when not on the road with his own groups, Jay has been touring with two of Brazil's great musical exports, Ed Motta and Banda Black Rio and Afrobeat Master Orlando Julius, American Soul singer Liv Warfield. Also with renowned director Peter Brook's play 'The Suit'. Jay has also joined forces with producer and Trombonist Courtney Brown to form a new project called 'NBOC', a group pushing the boundaries of hip-hop and modern creative music, due to start releasing from 2016. Currently Phelps is recording his second solo album ‘Free as the Birds’, which is a departure from the more traditional approach of his first, due for release in 2018. Although he has called London home for half his life, Jay is now based internationally to expand and immerse himself in the world's musical cultures.